Re: What makes you think of PC? Anything will make me think of RPC these days. Aside from here, I usually do nothing else aside from playing video games, job searching (which includes improving my coding projects and spiffing up resume and/or portfolio) and exercising along with driving as a "job" (not really one but it feels like it). My views have changed somewhat. For a long time now I used to be very obsessed with being here on RPC all the time and as I said above, anything would make me think of RPC. I no longer feel that is the case here. When I think of RPC these days, I think of Rayman, Globox, and all the friends I've made here and I think of how great they all are, and it makes me happy to be a part of this community, despite how late I showed up. Nah for a serious answer, I think of Rayman, Globox and others along with how awesome the games are. 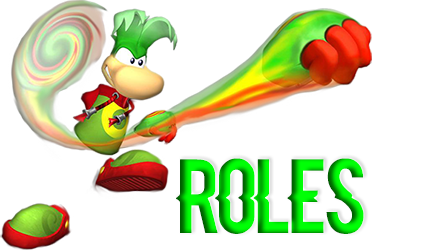 Then also a nice community of people that have a bit of banter and we all like the same thing, Rayman! Despite some local loonies, we're an awesome community so it's natural to be excited about it, especially at first. Of course as times passes by you get more used to it but it doesn't mean you care any less. I would find it very hard indeed to come up with 100 interesting posts per day given the current activity level. Honestly I don’t even feel good about having that high post count anymore. I really was a wacko back then. Yeah that’s true, and honestly this makes me feel better. Even if I end up just browsing and not posting anything one or more days doesn’t mean I don’t care about this place. I always will like being here. Even is my overall presence disappears entirely, RPC will always be one of my favorite sites to come to. Me posting a little less often doesn’t mean I don't care about the place, in fact it's the complete opposite. I don't want to annoy everyone or ruin the atmosphere by posting like crazy and saying stupid things that I'll regret, so I'm trying to do it in moderation instead.